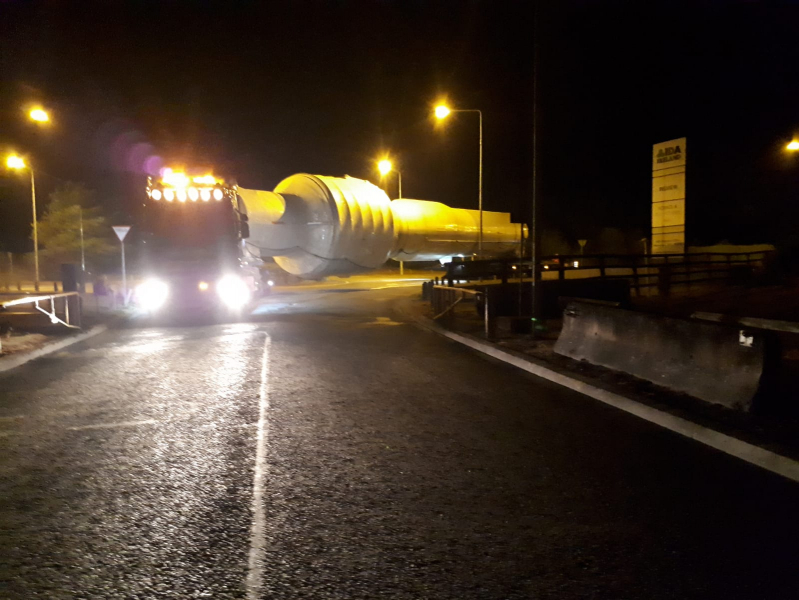 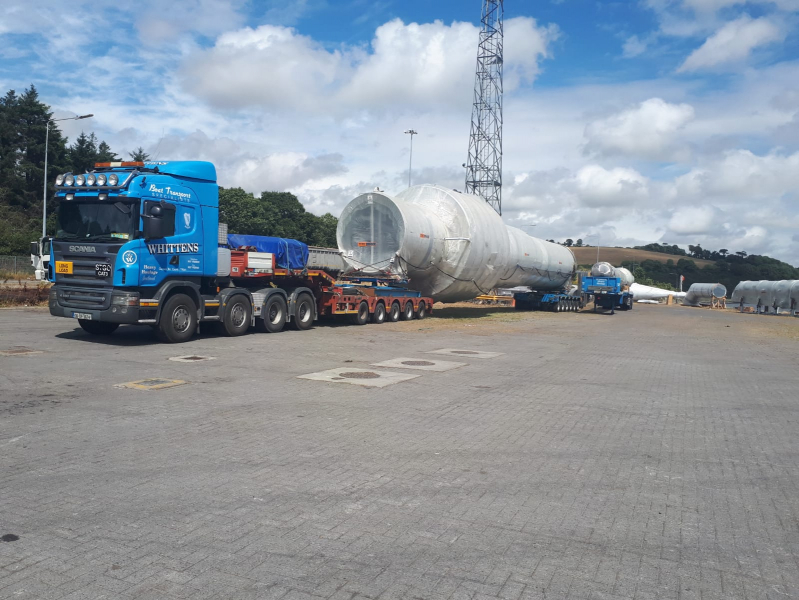 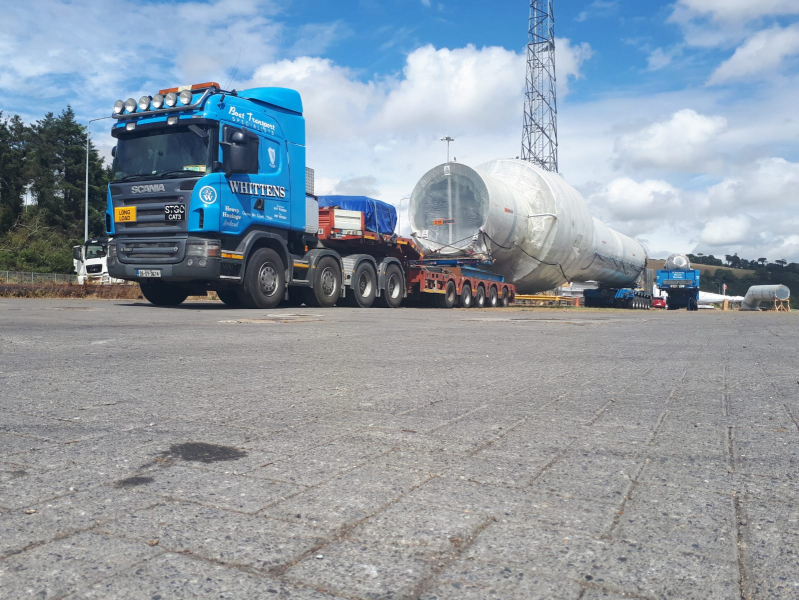 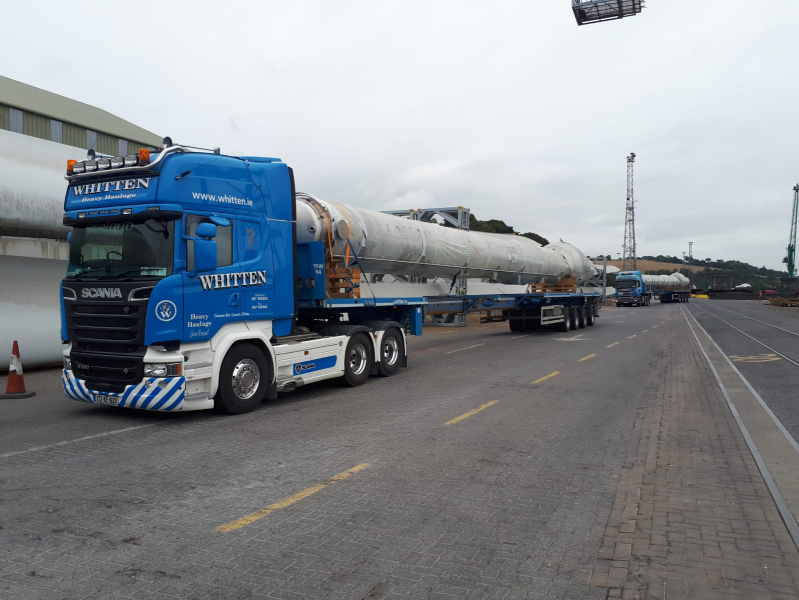 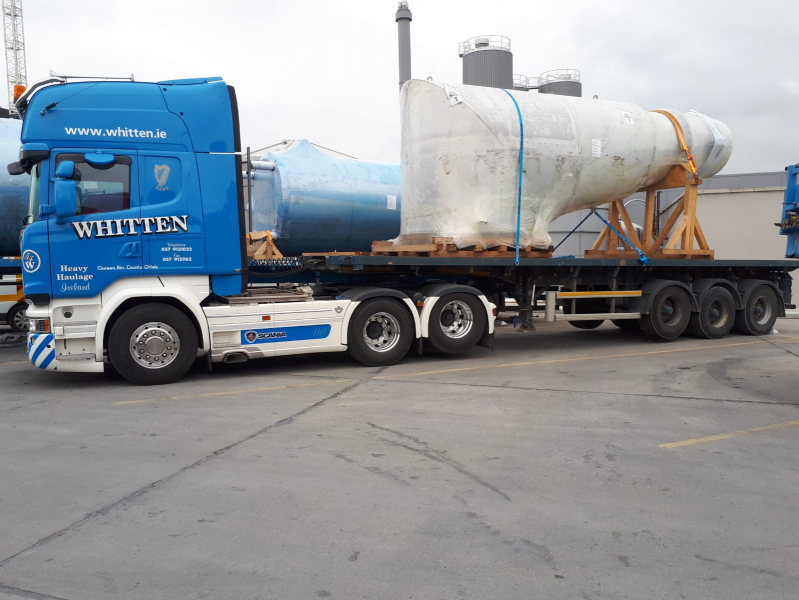 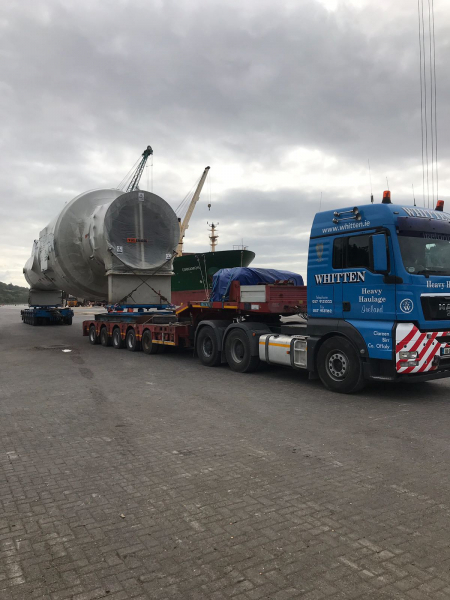 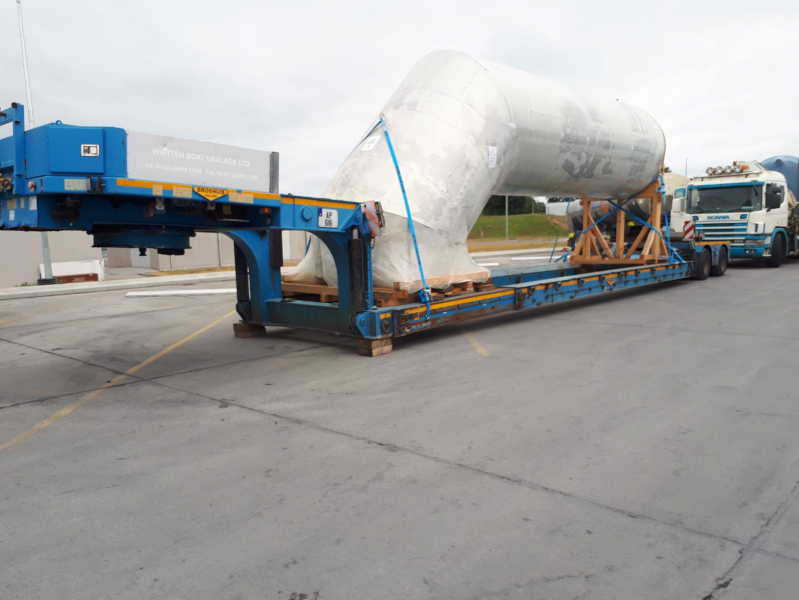 Our team have been busy overnight, moving all assortments of abnormal loads from Belview Port, Waterford. 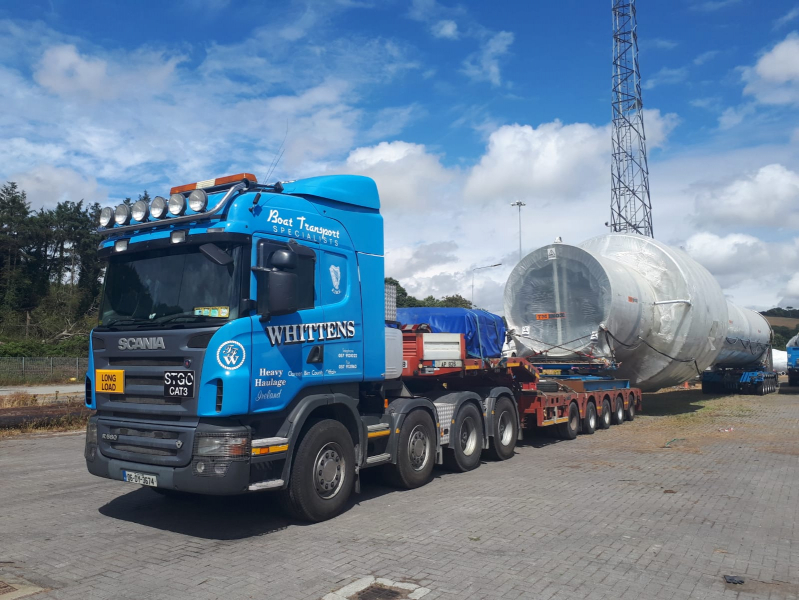 Videos of the 5.95m high load can be found on our YouTube Channel here. 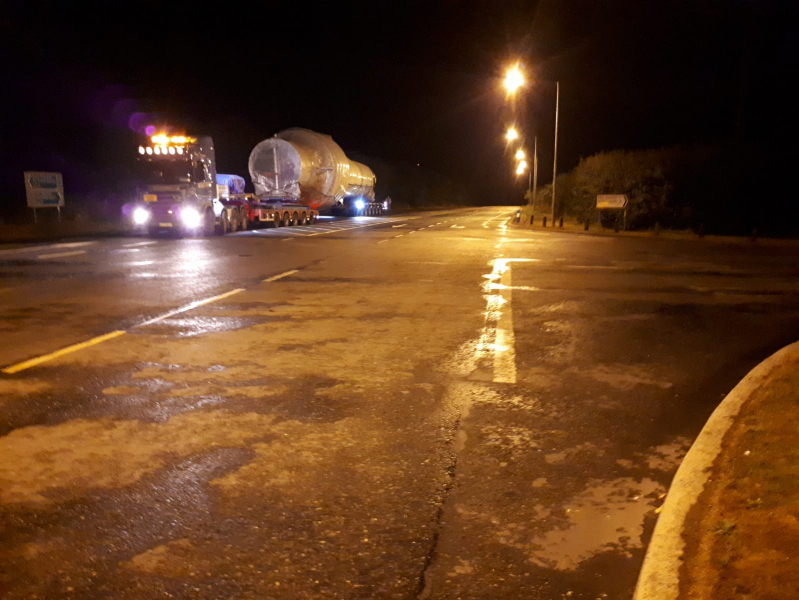 Damien, Rhys, John and Philip have been working through the night to ensure these loads are transported safely to site, with minimal impact on traffic in the area. 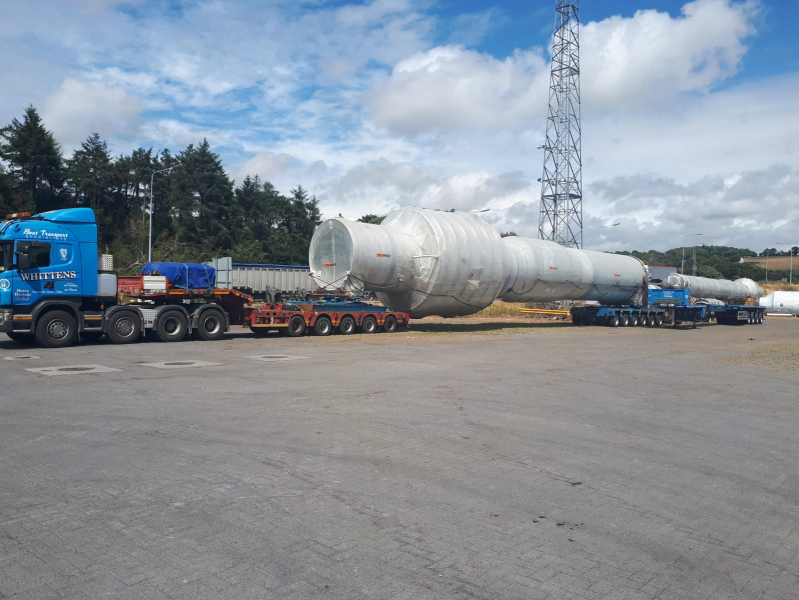 All loads are travelling under abnormal load permit on our specialised trailers. 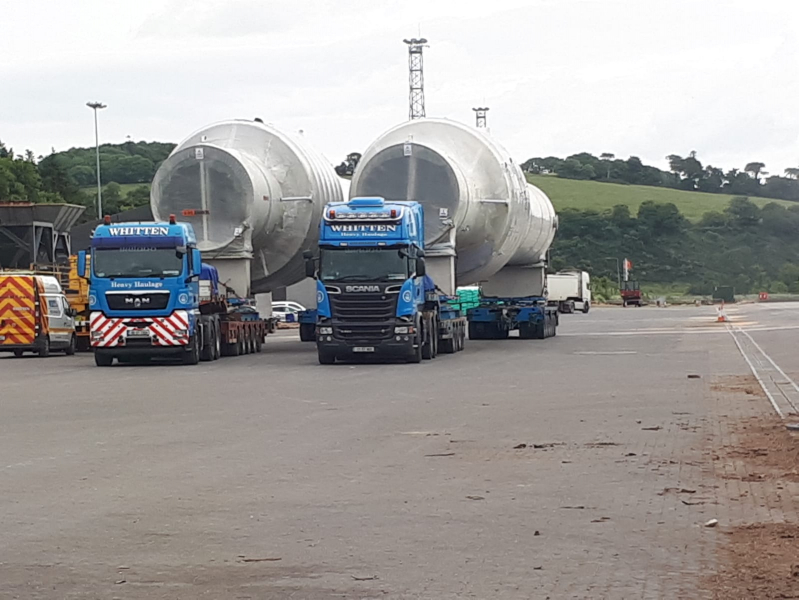 Operations will continue again in the small hours of tomorrow morning, as these magnificent units make their way to their final destination.